The Land of the Midnight Sun AKA Sweden is known for many things, their Viking roots, the eternal sunshine that comes in summer, and also for their lovely wooden saunas. Stockholm is home to a variety of spas to choose from, but it is impossible to visit them all. Here are the three you have to check out, from pure luxury to the traditional. Considered to be one of the fanciest hotels in the city, it makes sense that it would also play host to one of the nicest spas. If you are okay shelling out the big bucks then this will be an experience of pure luxury you will not want to miss. It has the traditional Nordic spa experience where you roast in a dry wooden sauna, and then dunk yourself in a cold pool of water. This gets the blood flowing for sure. Once you have completed this circuit a couple of times you have a steam bath. This spa has a variety of other treatments though, which may appeal to the more adventurous such as a Chinese medicinal treatment or a body wrap. 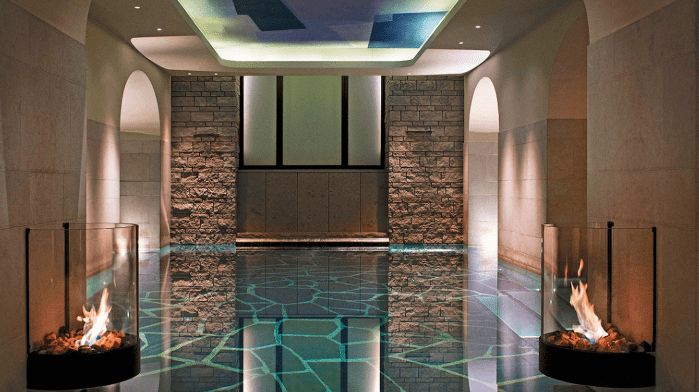 The luxe marble floors throughout make you feel like you are bathing in a palace. This is a spa with a view. 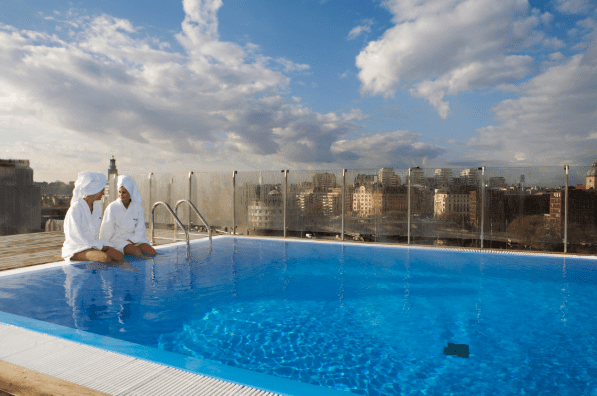 It may not have the elegance of a hotel but it more than makes up for it with the view from the rooftop pool that gives you a view over all of Stockholm. It has all the traditional spa fixings such as facials, manicures, and pedicures as well as a gym. But this one is truly where you go if you want to feel on top of the city and away from the hustle and bustle. This one is not right in Stockholm, but if you want the true Nordic spa experience out in nature then you simply must visit. 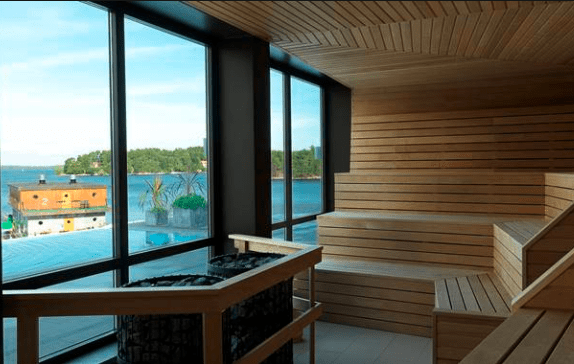 It is in Saltsjo Boo which sits right on the ocean and affords you with both a view and the choice to jump in an ice-cold pool of water outside after being in the steam room. In the winter months you can also roll in the snow if you want to really get your circulation going. This spa is focused on using local products for their treatments such as honey, which they produce on site with their own bees. In any event, you have to have the Nordic spa experience as there is nothing like it outside of Scandinavia and Russia!